Concentrating in trial work, Mr. Weber is admitted to practice in all Pennsylvania courts and has tried cases in Lycoming, Centre, Clarion, Clinton, Crawford, Union, Snyder, Bradford, Columbia, Potter, Sullivan, Tioga, Mercer, Mifflin, Northumberland, Wyoming, McKean, Susquehanna, Luzerne and Lackawanna Counties. He is admitted to practice in the U.S. District Courts for the Middle and Eastern Districts of Pennsylvania and has tried cases in Federal District and Bankruptcy Courts. He also had litigated cases with Administrative Law Judges, representing utilities in Pennsylvania Public Utility Commission cases. 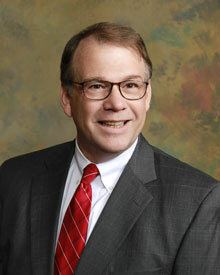 Mr. Weber represents clients in arbitrations and in appeals in Federal and State Appeals Courts. Mr. Weber's trial practice involves representing primarily defendants in a variety of cases, including those involving claims of medical malpractice, premises liability, product liability and automobile negligence. Mr. Weber handles subrogation and collection work and serves as hearing officer in administrative proceedings involving school districts. Gary Weber served on the Executive Committee of the Lycoming Law Association between 1996 and 2004, and as its President in 2003. He has been Chairman of the LLA's Customs and Rules Committee since 1992. He was instrumental in rewriting the Association's bylaws in 2000, and developed the Association's Web site (www.lycolaw.org) the same year. Mr. Weber was honored with the President's Achievement Award, by the President of the LLA in January of 2001. In 2009, his work with the Website resulted again in recognition by the Association. Presently he serves as the Editor of the Lycoming Reporter and as the Association's Webmaster.